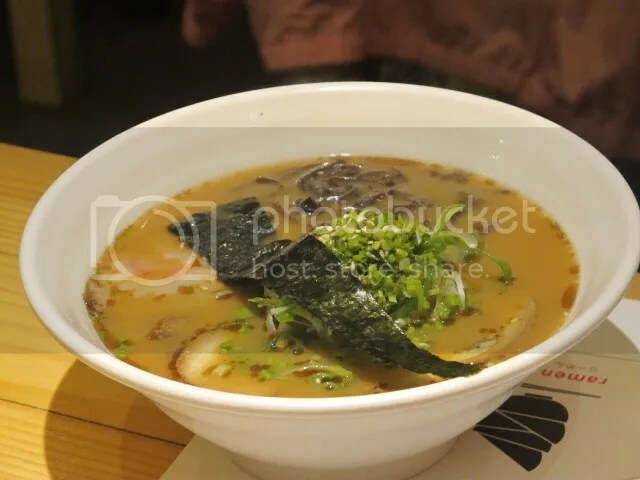 Ramen Bar | Viand Magiliw. The rainy season is just around the corner! 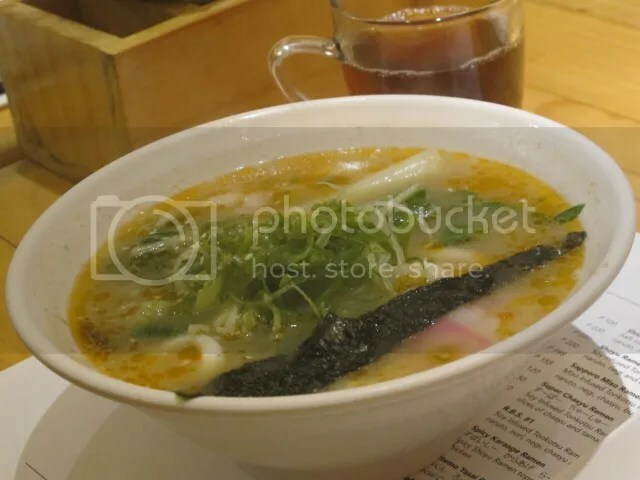 And what better way to enjoy it than eating a bowl of piping hot ramen? 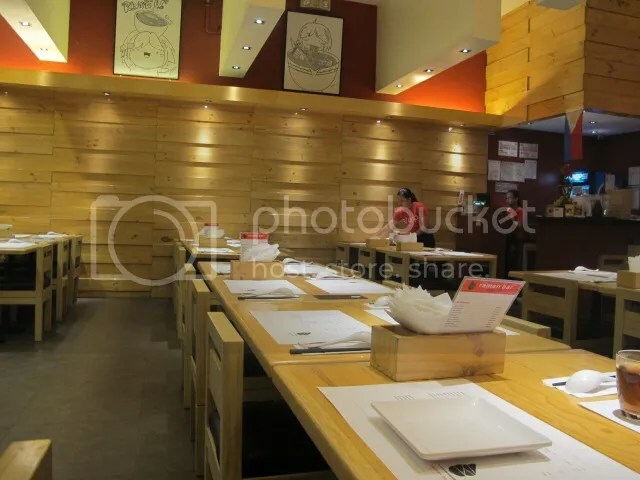 There was a light drizzle this afternoon, the three of us went to Ramen Bar for our early dinner. 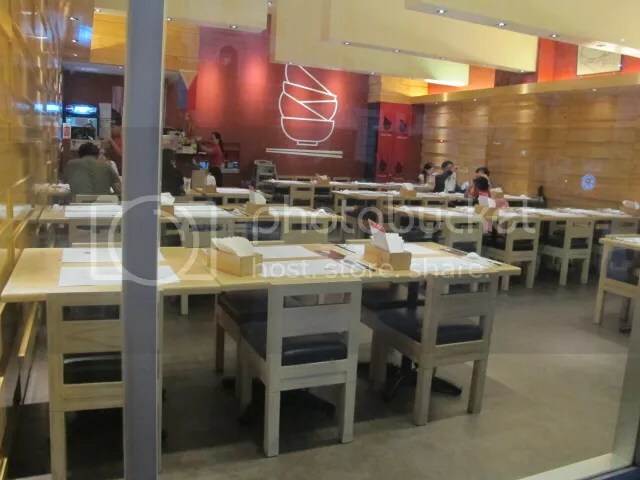 Menu: Small platters (Yakiniku beef, ebi tempura, ebi buns), Big plates (Chasyu rice bowl, yakiniku beef rice topping, spicy kakuni rice bowl), Big bowls (Shio ramen, RBS 1, tottemo yasai ramen, super chasyu ramen), Toppings, Sweets (Tempura ice cream), and Drinks (Calpis water, Calpis soda). 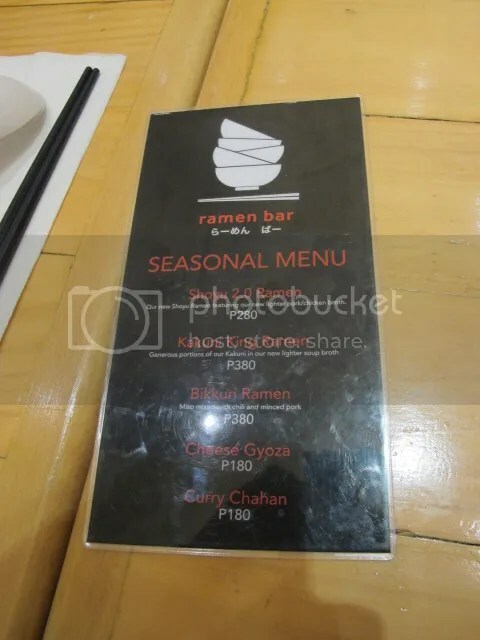 They also have seasonal menu which consists of: Shoyu 2.0. Ramen, Kakuni King Ramen, Bikkuri Ramen, and the Curry Chahan. 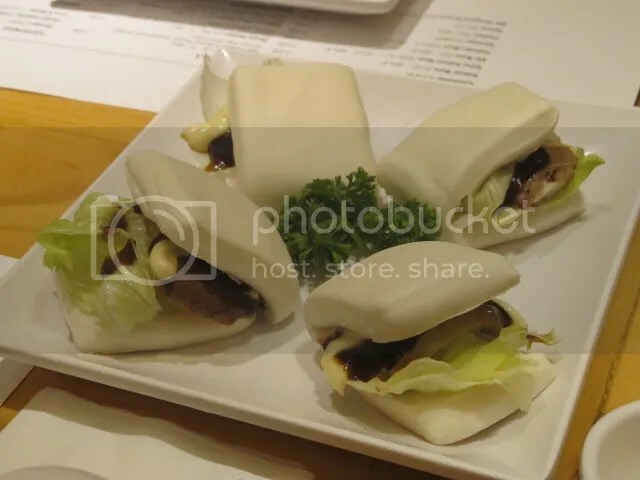 Kakuni Buns. It reminds me of the cuapao served in Hen Lin or Dimsum & Dumplings. I love the sauce that they used here. The pork was tender too. 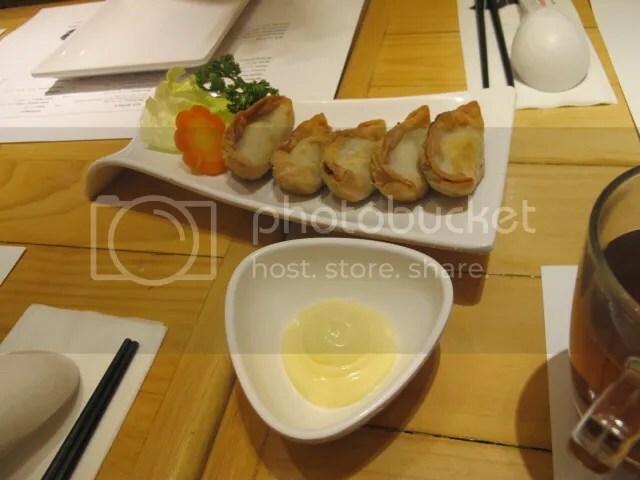 Cheese gyoza. This was really good–It had the perfect balance of ground pork and cheese, and the combination of the cheese dip and the gyoza’s cheese filling wasn’t cloying at all. My choice of ramen was their Spicy Karaage Ramen. The spiciness level of the ramen soup is quite high. The noodles were thick (but not like udon). The chicken pieces were good, but it had little bones in them, so it was a bit tough to swallow. … While dad had the spicy Seafood Ramen. I just realized that they all look the same… ._. 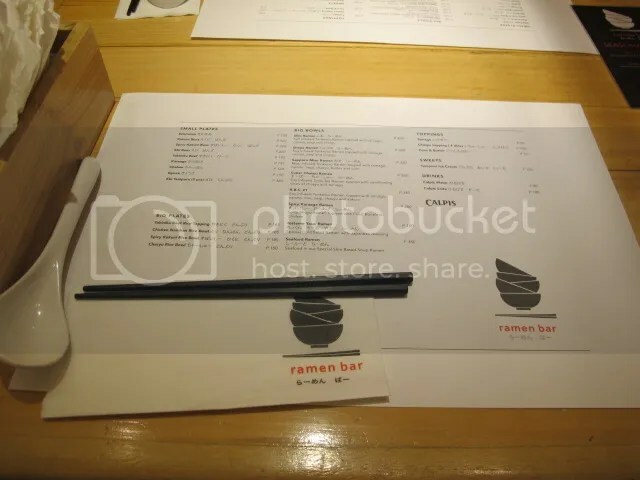 To be honest, I didn’t enjoy my ramen too much (I liked the gyoza and the kakuni buns, though). 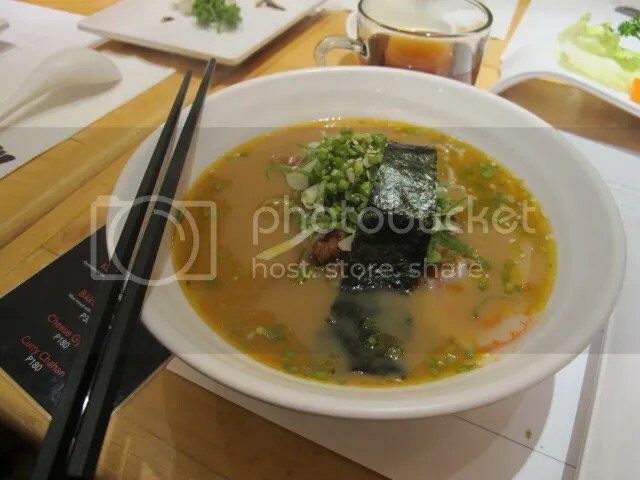 Maybe I just made the wrong choice–I’ll try the other types of ramen next time, or maybe their rice meals. Bagumbayan, Quezon City. Tel nos: 570-9457. You can also find them at Robinson’s Magnolia.